The apartment is very spacious. The communications with the owner went very well too. Overall, a great place, right in the heart of Prague! We stayed in peter's apartment for 2 weeks, family of 6. We got a very large, beautiful and comfortable apartment. The location is great: right in the center of Prague, and close to metro and tram stations (200 meters). The apartment was very clean, we got towels and the kitchen is fully equipped. The building was very beautiful, and had an elevator. Thank you Peter and Elza for great hospitality! hope we will get to come again!! We loved this apartment. It is huge and the location is the best possible. The apartment has 4 main rooms including 2 bedrooms, living room, and kitchen, plus toilet and bathroom and long hallway. Two of the rooms have additional lofts (there are very high celings). Note that the furniture and decor is not new - this is an old building and furniture is also mostly old. We appreciated the instant hot water facility which is quite modern. The location is less than 5 minutes from old town square and less than 1 minute from Jewish Museum entry. Subway is just around the corner. Don't plan on bringing your car, as parking is not available anywhere - we barely found a temporary spot to unload our car before we returned it to the rental company. The owner follows very strict rules for advance payments, which was very awkward/difficult for us from Canada, but everything worked well, and was exactly as he promised. "We have really enjoyed our stay in Prague!!!. 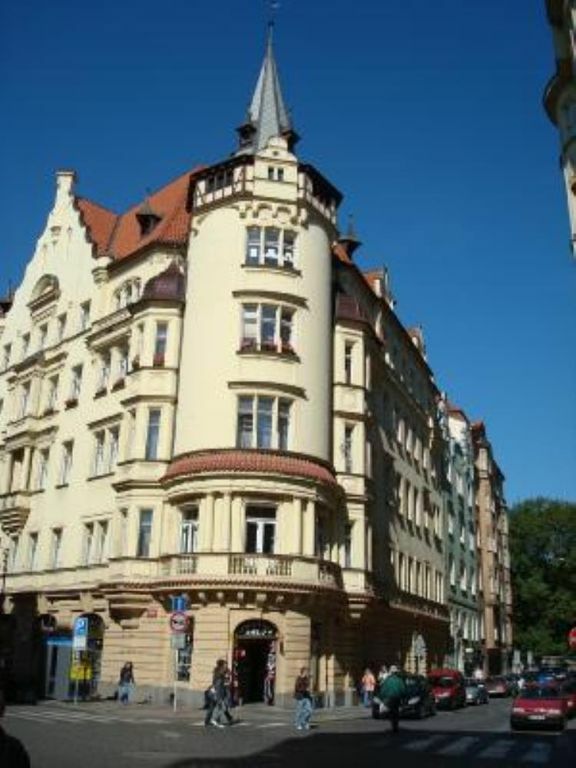 The city is very nice and the apartment very confortable and really well situated in the heart of Prague. Mariam is very nice and helped us organizing the taxi return to the airport. We will recommend you when friends or family ask us for lodgment in Prague. And, if we come back in the future, be sure that we will contact you again. "Excellent localization – in the centre of Prague 1 but also quiet. Apartment is great, also for families with children. We really enjoyed our stay there especially that all formalities were set as originally agreed (complements to owner). For sure it’s worth its price." Superbe appartement, accueil très chaleureux, disponibilités très flexibles, merci pour tout. Seul petit hic, les vibrations des fenêtres la nuit à chaque voiture passant dans la rue. Nous reviendrons ! (Text automatically translated) Discovery architectures Quarter of the Old City, Tyn Cathedral, baroque church of Saint Nicolas, Old Jewish Cemetery, synagogues, museums, home of artists (Rudolfinum), concerts, etc..